DISCLAIMER: The Information contained herein was believed to be valid at the time of publication. The San Benito County Clerk - Auditor - Recorder - Registrar of Voters reserves the right to make changes in the website at any time and without notice. San Benito County Registrar of Voters assumes no liability for damages incurred directly or indirectly as a result of errors, omissions or discrepancies. 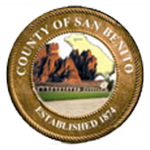 This website is for informational purposes only and separate from the County of San Benito website. This website includes links to other websites not controlled by the San Benito County Clerk - Auditor - Recorder - Registrar of Voters. The San Benito County Clerk - Auditor - Recorder - Registrar of Voters takes no responsibility for the views, content or accuracy of the other sites, nor does it endorse any content or products contained therein. You are being taken to a site outside of sbcvote.us.